The perfect weather forecast would be a post frontal South to South-East wind but I prefer a touch of South-West in the mix for added instability…. 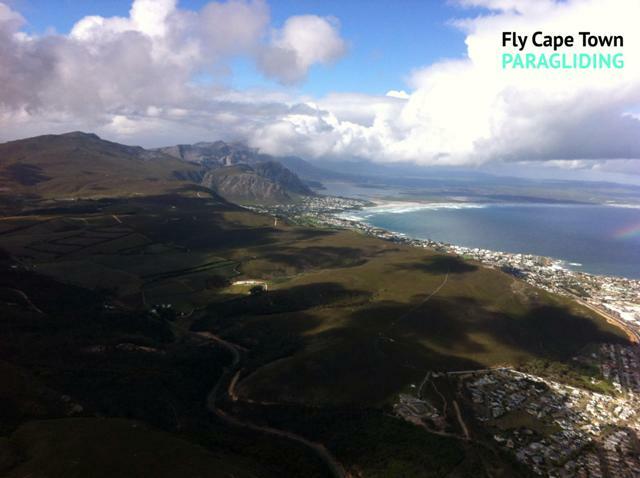 The Hermanus ridge offers great coastal soaring with a huge amount of unexplored XC potential. The Hermanus ridge is often soarable and the need to thermal is pointless unless you have intentions of making the “Gap” crossing to Stanford or to hop over the back towards Caledon. The House thermal can be found in the bowl flying straight out after taking off. The minimum altitude required to make the crossing would be 200 meters above the ridge, if you can climb higher, please do so as this will increase your chances of making your first transition. When going on glide, do not aim straight at the front ridge. Try to go a little wide then come back around to avoid getting stuck in the venturi on the side of the ridge. The next thermal can be found just in front of the zig-zag path on the front ridge. Make sure that you take this thermal to the top before gliding to the front ridge as the bowl can often be very sinky. The next good thermal is located on the corner /foothill of the front ridge. The front ridge is often soarable and once you are above ridge height you can easily run down the ridge without loosing much height or having to thermal. The only tricky part is making sure to not get stuck at the end of the ridge where it splits with yet another lower ridge slightly more in front of the current ridge that you are flying. The house thermals can often be found on the peaks of the smaller ridge on the front. Take the thermal to the top before making your final transition. If you arrive low, the most reliable thermal source would be the dam just in front of the ridge. Take the thermal to the top and glide into goal at Stanford. A short and sweet little XC route that offers magnificent views. If you are feeling adventurous, why not try to do an out and return…. Hey Stephan this is an awesome guide, nicely done! This is an excellent guide to paragliding in our area. Thanks!